Carl Franklin's magnum opus is a difficult film. It begins with an appalling act of violence and then slowly begins to shine an uncomfortable light on the racial disparities of modern America. Within these painful concepts, themes of fate and chance are seamlessly woven into a deceptively simple detective story that plays out like a neo-Greek tragedy. At the center of the storm is Dale "Hurricane" Dixon, portrayed by Bill Paxton in what is the greatest performance of his career. A trio of criminals commit multiple homicides and flee Los Angeles, hoping to sell their ill-gotten narcotics on the way to a quiet Texas town called Star City. Their violent path puts them on a collision course with the town's abrasive sheriff, a man whose past is intimately tied to one of the criminals. Billy Bob Thornton's script crackles with an eclectic mix of modern detective lingo, criminal slang, and Southern (in)sensibilities. While dreams of destiny loom over the proceedings, it is intersections that are of import. City meets country, criminal meets law, and secrets meet their revelations. 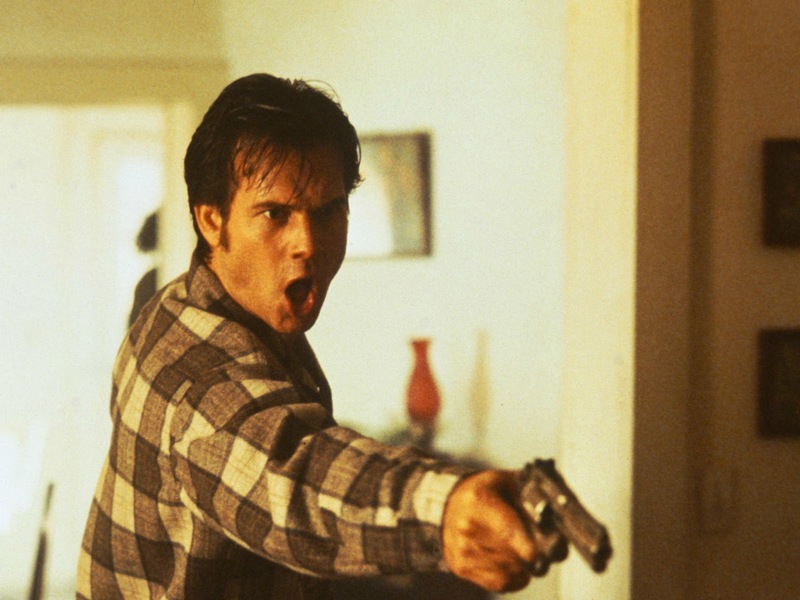 Bill Paxton is sensational as Dale "Hurricane" Dixon, the small town sheriff looking to escape his humble existence by apprehending the killers and impressing the out of town, big city detectives. One False Move is a lived in, tarnished reflection of Americana, drawing the viewer in with its honest, revolting, and heartbreaking portrayals of its characters. Dixon's larger than life persona is armor, concealing not only sins of the past, but a crippling form of masculinity. Billy Bob Thornton and Michael Beach's criminals are vile, yet understandable. Understandable not in a sense of acceptance, but in the terrifying comprehension that these dark souls were forged in the America prison system. Cynda Williams' Fantasia subverts the Femme-Fatale cliché' through her bravura performance as an addict on the edge of self-destruction, desperate for one final act of familial connection. 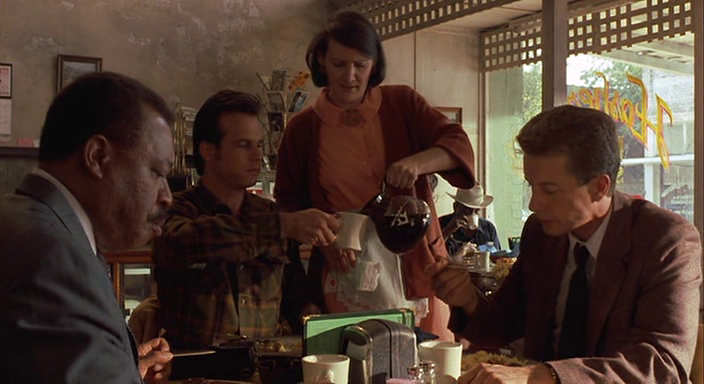 James L. Carter's cinematography continually evolves throughout. It begins with grainy close ups of a house party gone wrong; a hellish place in the Los Angeles underworld, before giving way to vibrant Texas exteriors. As the story transitions into Dixon's territory, tight shots return, conjuring a potent sense of claustrophobia, mimicking the criminals’ desperation. There's a scene between Natalie Canerday (Dixon's Wife) and Jim Meltzer (One of the L.A. detectives) in the kitchen of the Dixon home that not only showcases the exceptional camerawork and lighting, it also encapsulates the soul of Franklin's neo-noir centerpiece: Crime is not flashy. It's not tragic or operatic, it's dirty, sudden, and absolutely unforgiving. This is what makes One False Move such a unique experience. It explores a different side of the crime thriller, presenting facets of everyday life and destiny intertwined as life and death play out under the looming Texas sun. If The Godfather is the height of criminal opulence and The Friends of Eddie Coyle is the dark and grimy sewers, One False Move is the world in between, populated with frighteningly realistic monsters and the harried detectives who hunt them. 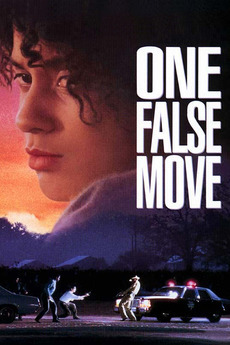 Available now for digital rental, One False Move is one of the greatest films of the 1990's and the epitome of modern crime cinema. Blending a stunning central performance with gripping violence and a surprising amount of humanity, this is essential viewing for anyone looking to explore American neo-noir this November.